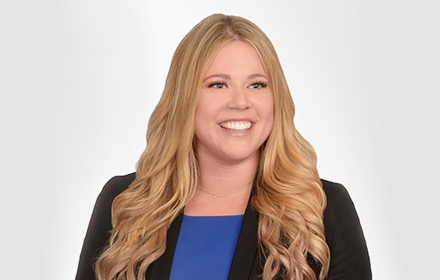 Elisabeth F. Whittemore is an Associate in the Orange County, California, office of Jackson Lewis P.C. Mrs. Whittemore represents management in all types of employment disputes including harassment, discrimination, retaliation, and wrongful termination cases in both state and federal court, as well as in arbitration and administrative hearings. She routinely provides preventative advice and counsel on a variety of workplace law and compliance matters. Prior to joining Jackson Lewis, Mrs. Whittemore served for almost two years as a judicial law clerk to the Honorable Kenneth J. Gonzales, United States District Judge for the United States District Court of New Mexico. Before her federal clerkship, Mrs. Whittemore served as a judicial law clerk to the Honorable Steven L. Dobrescu and the Honorable Gary D. Fairman, of the Seventh Judicial District Court of Nevada. During law school, Mrs. Whittemore was a teaching assistant and an Articles Editor for the Lewis & Clark Law Review. She also worked as a certified student attorney representing indigent clients in state court and administrative hearings.